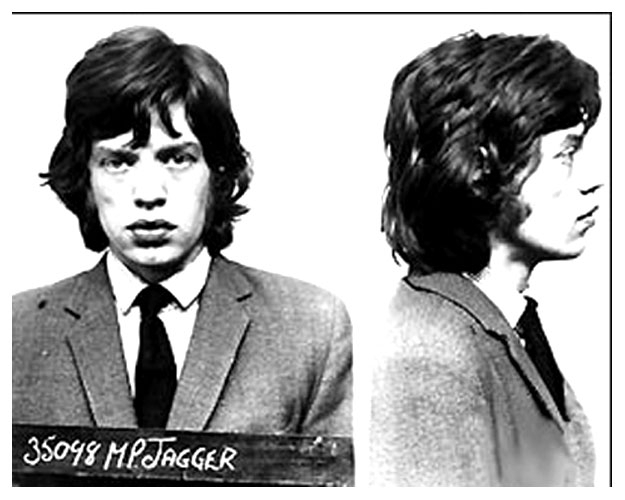 Mick Jagger posed for the above mug shot in 1967 after being arrested in England on a narcotics charge. Jagger, 23, was busted after police, acting on a tip, raided the country home of fellow Rolling Stone Keith Richards, who was also collared. Jagger, photographed at a Brixton jail, spent a few nights in custody before making bail. Submitted by Watsons Pills on Mon, 2011-04-04 23:07. Submitted by roydawgg on Thu, 2010-10-28 02:00.
did the drugs give him enough satisfaction? Submitted by dysfunctional on Thu, 2011-02-03 10:38.
no i dont think so..cuz he cant get no satisfaction!!! !